Special Offer: Order from ShoutFactory.com and get an EXCLUSIVE, LIMITED EDITION SPACE: 1999 SNOW GLOBE! See product description for complete details. 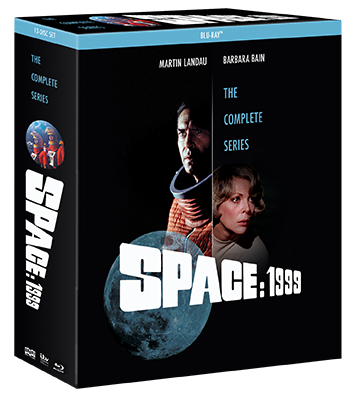 From Gerry and Sylvia Anderson, the legendary masterminds behind Thunderbirds, comes the epic sci-fi series, Space: 1999! September 1999: A nuclear waste dump on the lunar surface unexpectedly detonates, blasting the Moon out of Earth's orbit and taking the inhabitants of Moonbase Alpha on an unbelievable voyage of discovery and adventure. Under the command of John Koenig (Martin Landau), the Alphans hurtle through the stars, encountering fantastic worlds and beings in a universe where peril awaits at every turn. Together, Koenig and the Alphans face the ultimate challenge in the farthest reaches of space: survive ... and find home. 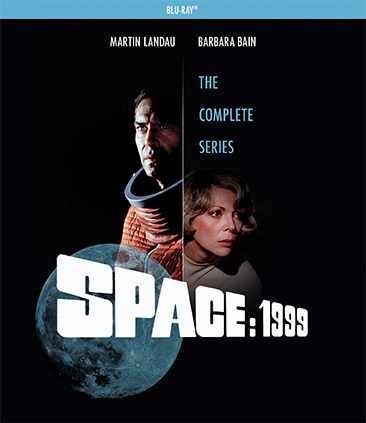 Also starring Barbara Bain as Dr. Helena Russell, Barry Morse as Victor Bergman, and Catherine Schell as Maya, Space: 1999 is a true classic of science fiction television, presented here in a deluxe box set with a galaxy's worth of special features that fans and newcomers alike will treasure. Strap yourselves in — the journey of a lifetime is about to begin! Plus, the first 500 orders from ShoutFactory.com will receive a limited edition Space 1999 Snow Globe, created exclusively for this release! This limited edition Space: 1999 Snow Globe features an Eagle Transporter landing on the Moon, and has a 4-inch circumference and sits on a 2-inch base (note: snow globe box art below is not final). Viewing Space: 1999 can sometimes be tricky for those looking to establish a clear, definitive timeline from episode to episode. This is due to a number of factors, including the nature of episodic television and its production at that time as compared to now, and the variance in airing dates from station to station and nation to nation. Ultimately, there are moments of character or storyline continuity that might seem out of place. While some fans have made excellent suggestions regarding a viewing order that makes the most sense, it is generally accepted that there is no single "correct" viewing order — only possibilities. With this in mind, we have presented Space: 1999 here in production order, as it is the most commonly accepted viewing order.